Marc started on Monday 16th Nov and will be working on a variety of projects including Hale Village and Unite Student Developments. 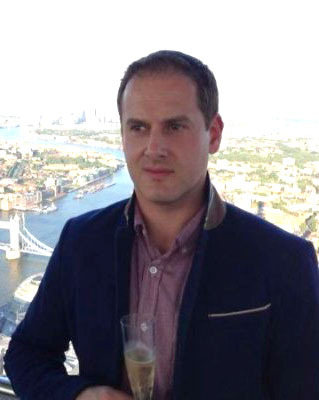 “I started my career at Betfair where I worked for the past 10 years as a Project and People Manager, specifically in charge of all major international football tournaments such as the World Cup and Euros. After leaving the company I decided to switch industries to an area I had more interest in and something a little more related to what I studied at university – the Built Environment. Having completed a secondment at London & Regional Properties where I worked as an Assistant Project Manager involved in some high end residential schemes and Cliveden Manor House (which won the AA Hotel of the Year last month), I gained the opportunity to join K2 Consultancy as an Assistant Project Manager. I found the role through a friend of mine, Paul Jackson, who similarly joined from a non-construction based background. I was very impressed with the fact that the company provide this opportunity to hard working, driven and motivated individuals even though they are not specifically from the industry yet do have transferable skills. It is quite rare to find a company who have such an ethos so I was incredibly keen to join. Through friends in the industry I also heard that K2 Consultancy were well respected, had a broad range of projects and were a successful growing company, which naturally attracted me further.